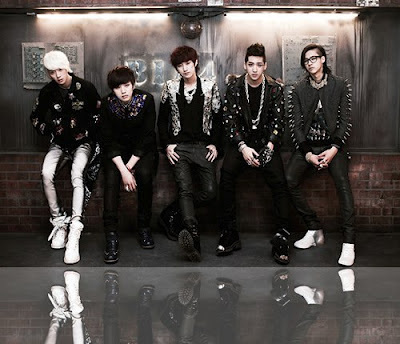 Male Korean group, B1A4 is coming to Malaysia to held on their concert together with Female Korean Group, A Pink at One FM Concert on the 29th of September 2012. Therefore, to give more satisfaction to all B1A4 and A Pink fans in Malaysia; Jazzy Group will be conducting a "Hi-5 session" for all B1A4 and A Pink fans at The Butter Factory on the 30th of September 2012. B1A4, a South Korean idol group based in Seoul that is consists of 5 members namely CNU, Jin Young, Sandeul, Baro, and Gongchan. This group has got chosen as Best Male Cover at Gaon Chart Awards 2012. They have alco being nomunated for Best new Male artist at Mnet Asian Music Awards 2011. They also have be come Malaysia last year for Mnet Asian Music Awards 2011 Concert's in Malaysia. This year will be consider second time they come here. This visitation to Malaysia is the first time for A Pink, a seven-member South Korean girl group (Park Cho Rong, Yoon Bo Mi, Jung Eun Ji, Son Na Eun, Hong Yoo Kyung, Kim Nam Joo, Oh Ha Young). on the 5th of January 2012, they won their first music show award on M! Countdown for their single "My My'. This group has also won New Star Awards at 7th Asia Model Festival Awards 2012. Do come to The Butter Factory and meet them in person to have warm High-5 with each members of your favorite K-Pop group. For more information, please visit Jazzy Group website or contact enquiry hotline: Jazzy Group 03-5622 1600, 010-269 4819 (HP), or (www.jazzygroup.com). [Entertainment] What is Gangnam Style??? [Event] T-Ara Tetap Akan Datang Malaysia, 2012.